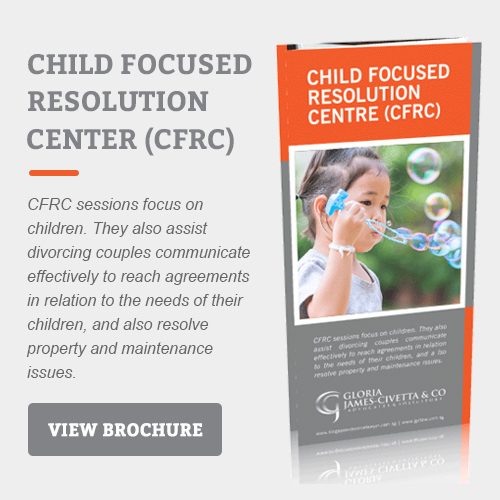 During divorce, child custody and support is often the most important issue that parents have to deal with. The welfare of your children in divorce is paramount and the court’s first and foremost priority when dealing with divorces involving children is their interests and welfare. 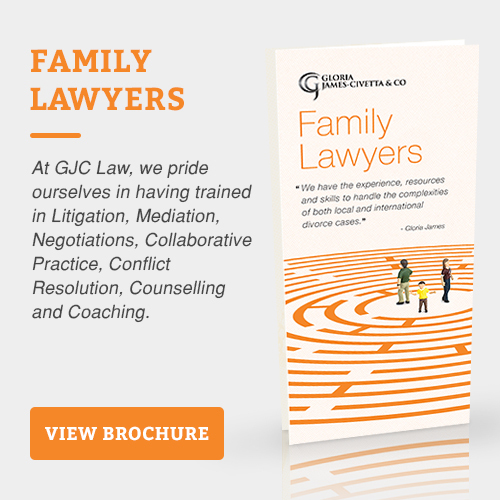 At Gloria James-Civetta & Co, we want to help avoid hardship and financial difficulties for you and your children. Our Family lawyers address child issues professionally and stand by our client`s side during the entirety of the legal process. 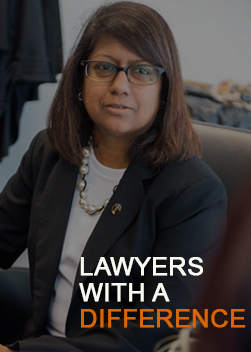 Our principal family lawyer, Ms Gloria James, is an appointed child representative and parenting coordination lawyer, meaning that she is recognised for her methodical approach into looking at issues involving children of marriages. Contact our specialist family law team today to find out how we can support you and your family through this difficult time. If you are going through a divorce and you have children, the court has the power to make an order determining how your children are to be cared for in the future. The custodial parent may make major decisions for the child without the agreement of the other parent. Parents must make major decisions for the child jointly i.e. they must agree on the decisions which are made. In the absence of agreement, either parent may apply to court for a determination of the disputed issues. This is a sole custody order but also includes an order that the custodial parent must consult (or even obtain the consent of) the non-custodial parent when making decisions on specified matters. For example, choice of school, choice of course in school and so on. This is where the custody of one or more siblings is granted to one parent and the custody of the other siblings is granted to the other parent. As a general rule, siblings should be cared for by the same parent. If a split custody order is sought, then the parents must file affidavits in support of such a split custody order and explain in what way this would be in the best interests of the children. Care and control refers to which parent the child lives with on a day-to-day basis. There is also a situation in which care and control of children is split, in much the same way as there is a split custody order. This would involve the children splitting their time equally between both parents’ homes. 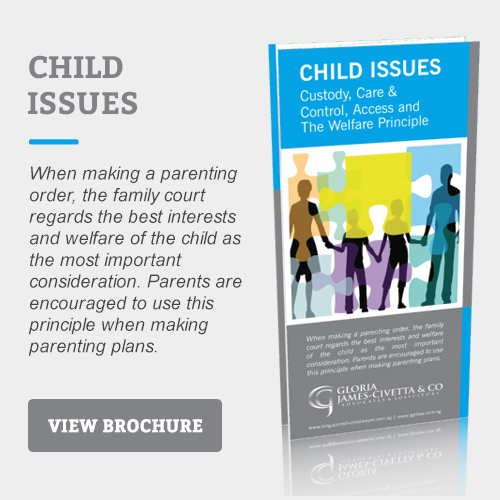 Generally, the non-custodial parent of the child will have access to the child. Such orders can be governed by a court order or may be sorted out between parents privately. Access orders can be liberal, reasonable or supervised (accompanied), depending on factors such as the child’s needs and wishes. Common access periods can be during weekdays, weekends, public and school holidays, as well as access on special occasions such as the child’s birthday, Father’s and Mother’s Day. 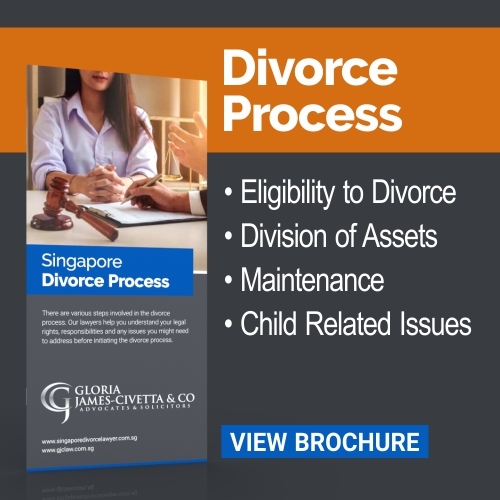 The laws of Singapore recognise that at all times, each parent has a legal obligation to provide for their child up to the age of 21 years old. This position remains the same regardless of who has custody and whether the child is illegitimate. 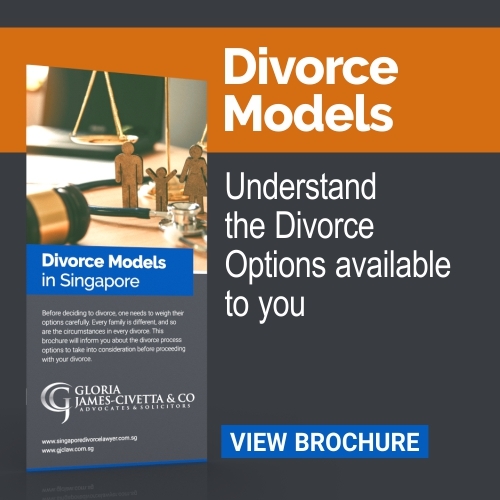 The Family Courts in Singapore will usually order parents to support the child until the child finishes tertiary education (i.e. graduate from university). Thus, when the child is nearing the age to attend university, the parent can apply to vary the maintenance order to take into account the increase in the amount of school fees that a university education requires, and also to extend the duration for child maintenance (if the maintenance order does not already cover these). Where a child is under a physical or mental disability, courts will allow child maintenance to continue throughout the child’s lifetime. If the disability is temporary, child maintenance can be ordered to end when the child recovers. Parties can certainly come to an agreement on child support, instead of having the court make such a decision for them. Child maintenance can be fixed at a certain amount, or even waived entirely. However, should any disputes in relation to an agreement on child support find its way to court, the court may ignore the parties’ agreement if necessary for the child’s welfare and interests. Our specialist team of lawyers are dedicated to understanding the unique circumstances of each child custody and support case, and will explain your rights and responsibilities to you in order to help you make the right informed decisions as to the welfare of your child. Our strategic approach and strong advocacy skills for the represented parent will make a significant difference in the outcome of settlements. We can assist you with Child Maintenance Applications, Variation of Maintenance, Access and Relocation Applications. 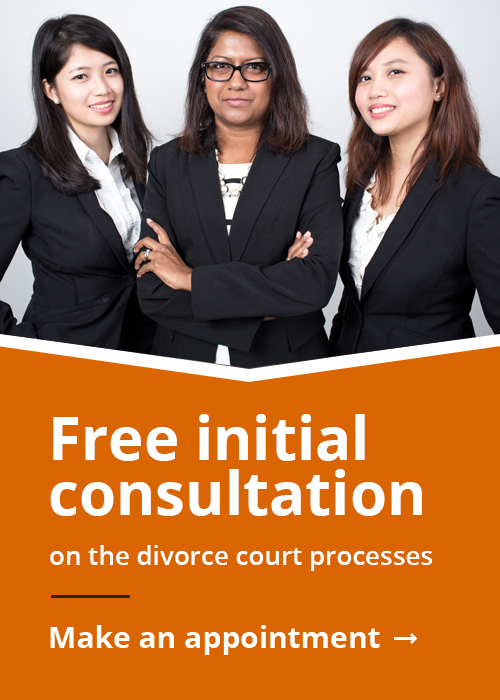 If you need advice on the Singapore divorce process, contact us today. We offer a no-obligation consultation so that you can understand your options before proceeding. 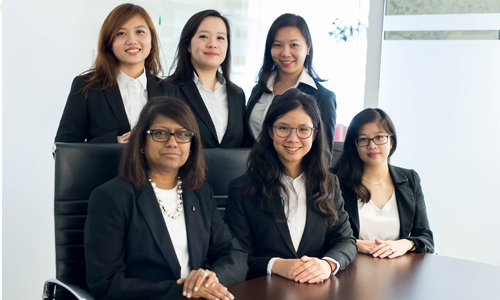 To speak to one of our specialist family lawyers, call us now on +65 6337 0469 or fill out our online contact form and one of our team will get back to you. Can I be Forced to Maintain a Child Even Though I am not the Parent? What happens at a Mediation Session?